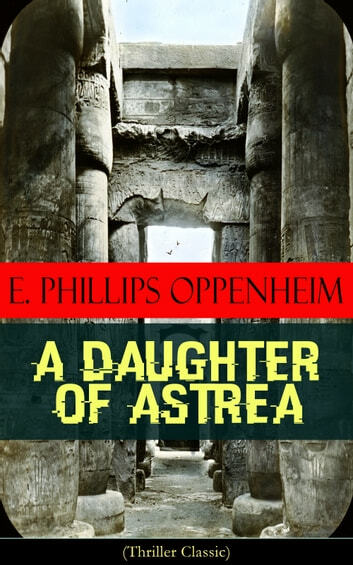 This carefully crafted ebook: "A Daughter of Astrea (Thriller Classic)" is formatted for your eReader with a functional and detailed table of contents. "Behold!" cried Sabul Ahmid, with an upward sweep of his bare, brown arm, "behold the Sacred Temple of the people of Astrea!" I stood up in the boat, my portfolio under my arm. High on the mountain's side, crowning a thick mass of laurel undergrowth, and flanked by a grove of deep, cool, byana trees, was the building to which my servant was pointing. The material whereof it was fashioned I could not at that distance determine. Only in the broad, tropical sunlight it flashed forth, a glorious and spotless white, as flawless and perfect as the purest marble or alabaster. My fingers began to crave for my pencil. I turned to my guide with beaming face..." (Extract) E. Phillips Oppenheim (1866-1946) was an internationally renowned author of mystery and espionage thrillers. His novels and short stories have all the elements of blood-racing adventure and intrigue and are precursors of modern-day spy fictions.